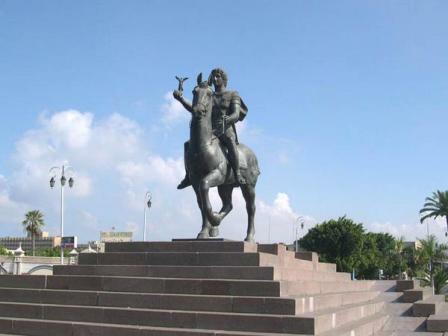 Founded by Alexander the Great in 333 BC, considered the second capital of Egypt Located along the Mediterranean coast length of about 70 km north-west of the Nile Delta, bordered to the north, the Mediterranean Sea and Lake Mareotis in the south to Km 71 on the Cairo-Alexandria desert road, bordered to the east of Abu Qir Bay and the city of Edko, and the region of Sidi career in the west to Km 36.30 on the road to Alexandria - Matrouh highway.there is many wonderful sites in Alexandria. 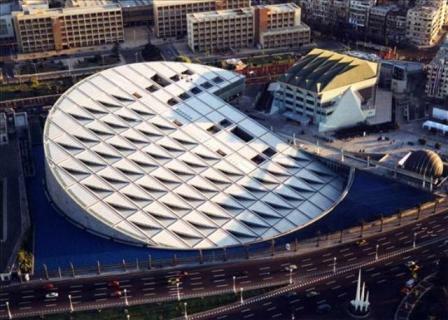 world, it includes 8 million books and multimedia show room. 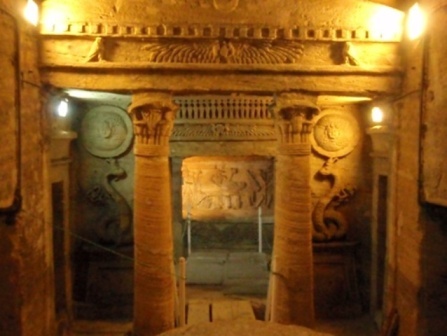 Catacombs of Kom El-Shoqafa It is a historical site; consists of a series of Alexandrian tombs, statues and artifact of the Pharaonic funerals cult. 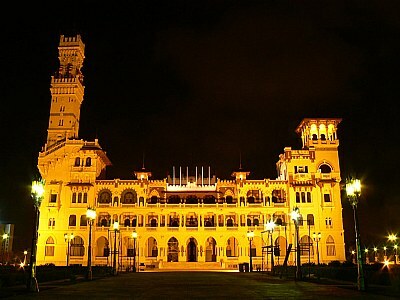 It is located in Alexandria and it is considered as one of the world’s seven wonders of the Middle Ages. 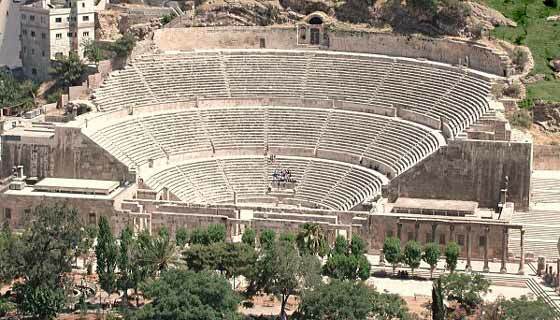 its features a mixture of Roman, Greek, and Egyptian Cultural points. 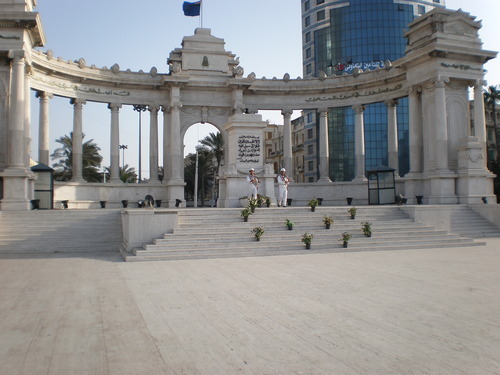 Alexandria; its height is 27 meter and it is made of red granite stone. 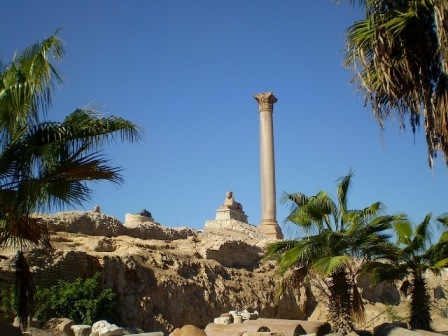 building Pompey’s Pillar is unknown however it dates to the Roman dynasty. It is made on the form of square and the sea surround it form three sides. damaged. At 1904 AD the committee for the conservation of Arab Antiquities has done many reforms and renovations. 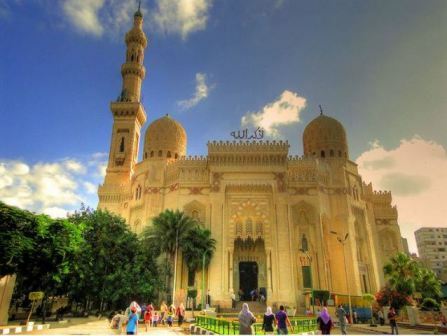 connected with the city of Alexandria since earliest Christian tradition. 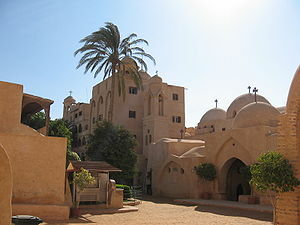 Coptic Christians believe he arrived in Alexandria around 60 AD and stayed for about seven years. During this time, Mark converted many to Christianity and performed miracles. 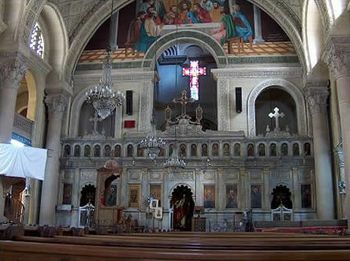 He is considered the founder of the church in Alexandriaand the first Bishop of Alexandria. According to tradition, St. Mark was arrested during a festival of Serapis in 68 AD and martyred by being dragged through the streets. He was buried under the church he had founded. 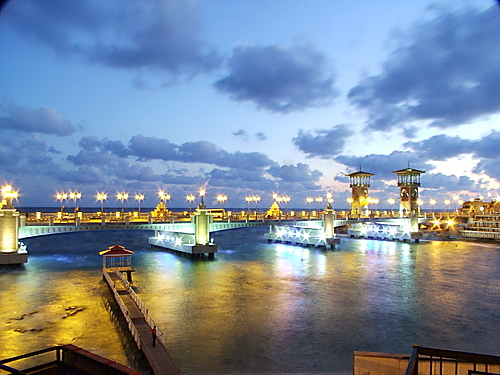 includes the Stanley Bridge over the Stanley Bay along the Corniche. It also includes the Stanley Beach with three levels of beach cabins. The Stanley Bridge has a total length of 400 meters with 6 spans. however, the city lost its prosperity. on other times was used for wrestling contests. 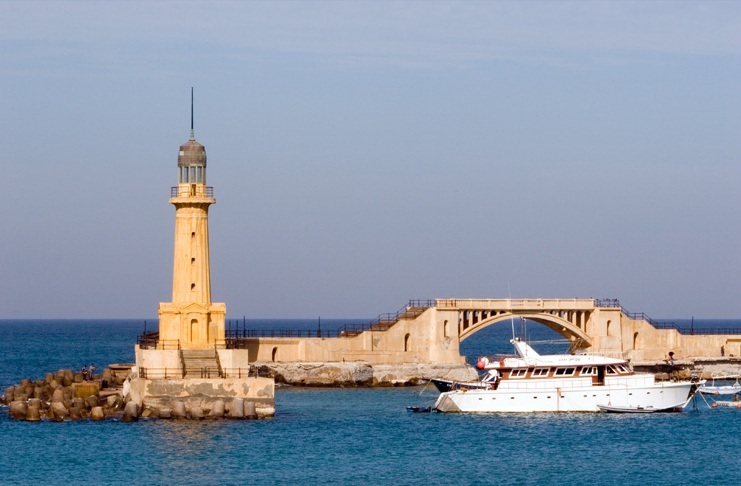 It was a tower built to guide the sailors into Alexandria port. 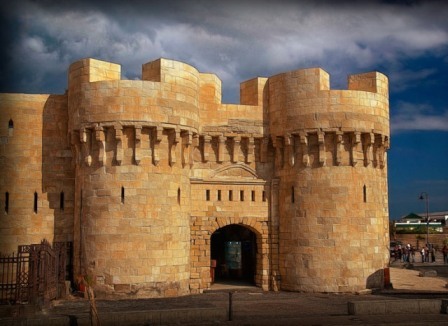 made of large blocks of light colored stone. town. 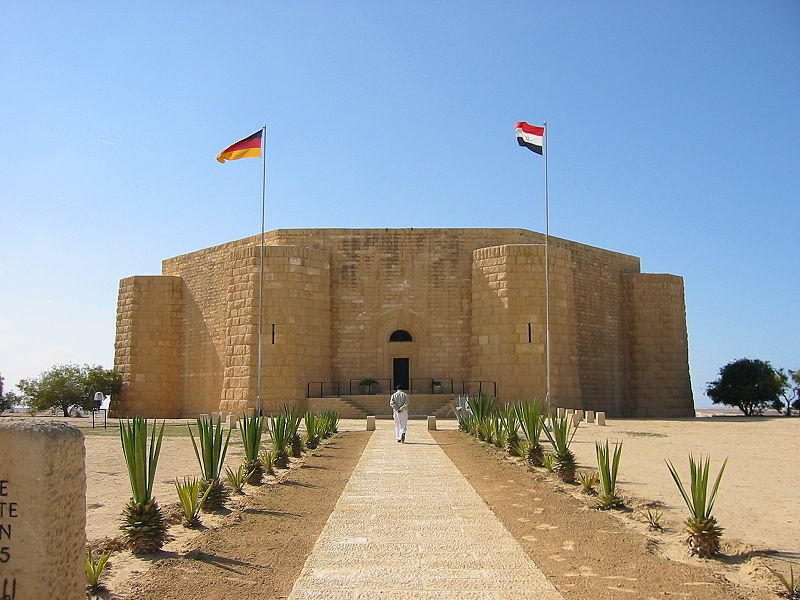 The German cemetery built in the style of a medieval fortress. 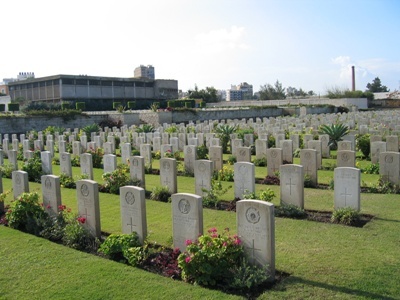 tombs bear the soldier's name; many are marked unknown.